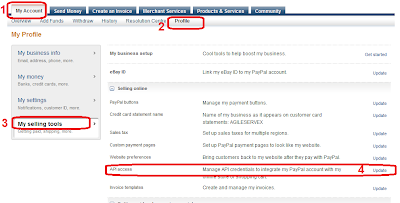 This post is for purpose of providing a basic information to Paypal account owner to get API credential from Paypal account. 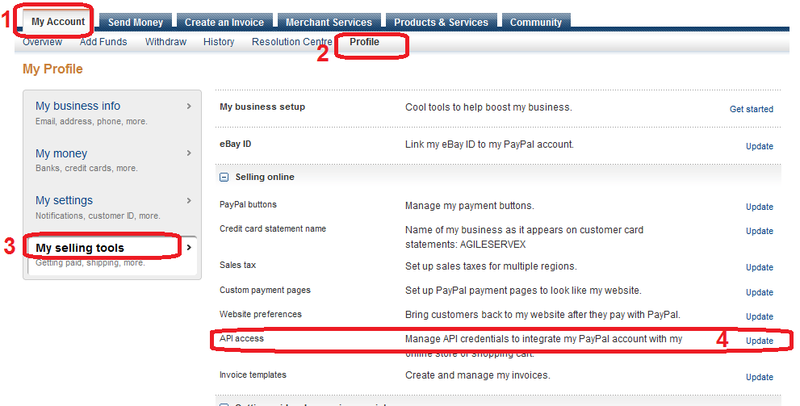 If you are Paypal account owner and want use your Paypal account for collecting payments for your online business, you can choose a variety of ways to do that. But some Paypal payment gateways requires API credential. It depends the what API the gateway is using. 5. Click "apply API signature" or "view API signature"
Not all payment module requires API. Agile PrestaShop Paypal Express Checkout module - does not require API credential. It is module provides a fast/quick checkout process for PrestaShop. Customer can finish checkout in just a few clicks because it does not required customer to register at PrestaShop for purpose. The best feature for store owner is that it could reduce customer dropout rate during checkout process. The module will register customer with accurate information from Paypal after payment is finished. For more information about Agile PrestaShop Paypal Express Checkout module, please visit here. This module implemented Paypal Adaptive API that allows you process multiple payments in one big transactions. This module is an accessory module of Agile PrestaShop multiple sellers module - a best solution for PrestaShop based market place/multiple sellers store.